Aboriginal land and sea councils help Aboriginal people get back and manage their land,and are a point of contact for non-Aboriginal people's inquiries. What are Aboriginal land councils? Aboriginal land councils represent Aboriginal affairs at state or territory level. They aim to protect the interests and further the aspirations of Aboriginal communities. The Aboriginal Land Rights (Northern Territory) Act 1976 established the basis upon which Aboriginal people in the Northern Territory could claim rights to land based on traditional occupation. The Act established the Central Land Council and the Northern Land Council. Under the Act, land councils represent Aboriginal people with "statutory authority", i.e. authorised to enforce legislation on their behalf. 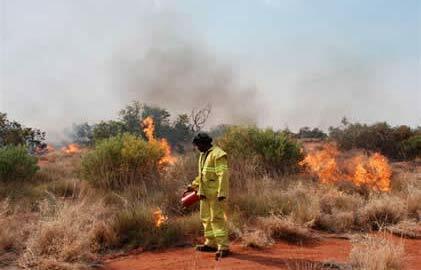 Land councils also have responsibilities under the Native Title Act 1993 and the Pastoral Land Act 1992 (NT). New South Wales passed the Aboriginal Land Rights Act 1983 (NSW) which is considered the "most generous legislation", allowing Aboriginal people to claim Crown land that is not needed for any essential purpose. It also set up a network of local land councils and a state land council (considered Australia's richest). Queensland transferred former reserves under a special form of freehold, held in trust by community councils for their residents. Various amendments from to the Land Act 1962 (Qld), introduced a limited land rights scheme. South Australia: The Pitjantjatjara Land Rights Act 1981 (SA) and Maralinga Tjarutja Land Rights Act 1984 (SA) transferred land to traditional owners. Prior to that, the Aboriginal Lands Trust Act 1966 (SA) turned reserves into perpetual leases but did not transfer the land to Aboriginal communities. Tasmania transferred several areas to the ownership of a land council in trust for Aboriginal people via the Aboriginal Lands Act 1995 (Tas). Victoria: Several acts transferred specific land to Aboriginal communities between 1970 and 1991. Western Australia: While the Aborigines Act 1889 (WA) empowered the Governor to reserve (but not transfer) Crown lands for Aboriginal people, Western Australia has not passed land rights legislation. Contrary to popular belief, Aboriginal land councils are not funded by taxpayers. The NSW Aboriginal Land Council has been self-supporting since 1998. A vital part of Aboriginal self-determination are local Aboriginal land councils (LALCs) which support state or territory Aboriginal land councils. Only LALCs can solve Indigenous problems from an Aboriginal perspective and some do so very successfully. Local Aboriginal land councils are usually closely connected to the communities they serve. They have creative, innovative and constructive ideas on how to support their people towards self-determination. They manage and deliver a range of support services including housing, legal affairs, employment, training and property acquisition and management. New South Wales, for example, is divided into 9 regions with 119 local Aboriginal land councils . The boundaries of local Aboriginal land councils were set in the Aboriginal Land Rights Act (1983). La Perouse Local Aboriginal Land Council (LALC) is one of the founding LALC’s in NSW. Chris Ingrey is leading the La Perouse LALC and introduces the council, its history and responsibilities. maintain and enhance Aboriginal culture, identity and heritage. job training programs, and many more. "These programs combine health, housing, education and employment in a meaningful way that results in real jobs, a better life and self-sufficiency for the participants. Isn't that the goal of the endless line of government programs aimed at Aboriginal people?" asks Jack Johnson, lawyer and CEO of the Gandangara Local Aboriginal Land Council, based in Liverpool, a suburb in south-western Sydney . Here is a list of state or territory Aboriginal land councils and some more regional councils. Contact them if you have a question or require their help. Torres Strait councils. Most islands belong to one of the three Torres Strait councils.